Chicago Mailing Tubes offers 5.000" x 24" heavy-duty kraft tubes with snapping plastic caps. The plastic tube caps are quality tested to guarantee secure shipping; they will not pop off! The durability of our kraft ensures that your products will not get damaged and deliver safely. 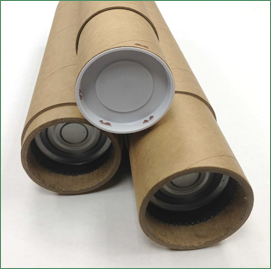 These kraft mailing tubes are the most dependable and efficient for your shipping needs. 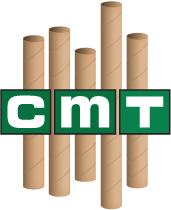 CMT's heavy-duty kraft tubes are affordable and serve as a reliable method to ship your commercial, industrial, or personal products for your business. Chicago Mailing Tube's manufacturing plant is entirely operated under one, cost-efficient facility. CMT produces kraft mailing tubes with state-of-the-art equipment and we individually inspect every mailing tube to make sure it meets our top quality requirements. Due to our flexible production capabilities, we offer fast 24-hour shipping services. 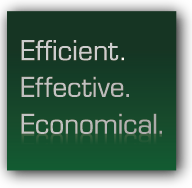 Contact our service reps today at (312) 243-6050 for a quote on your 5" x 24" heavy-duty kraft tubes. No minimum order is required!